NanoReviSo is an acronym of my own making. It’s a nod to one of my favorite drafting tools, NaNoWriMo, which officially began yesterday, but acknowledgement of where I’m at in my writing process this November — revision. Week 1 began with a bang; I might have broken my big toe. It’s swollen in all the wrong places and is a purple bloom of bruising. It’s my big toe on my left foot which has been my tripping toe for years. It’s the toe that I thought would cause me to break other bones, but ironically, I broke it and on the eve of NaNoReViSo. It reminds me that I will revise Rock Creek by December 15, “no matter what.” No matter if I feel overwhelmed by the volume of material I have. No matter if I doubt my plot arc. No matter if I have holes in my history that I can’t find plausible answers for, including an entire year (1858) when none of my historical counterparts to my characters did anything. It’s like 1858 slunk into a fog. No matter. I’ll get this. Even if I did break my toe. What’s a big toe to a writer anyhow? Well, it can become a distraction. Distractions are why I’ve set an hourly increment to two vital processes, revising and reading. Revising is much messier than drafting. It’s parts of writing: part dismantling, part tinkering, part building up, part organizing, part tightening. When you are dealing with 70,000 words or more, it’s like looking at a Lego creation, one piece at a time strewn across the floor. Reading is yet another part. I need to find unanswered history questions, re-read vital primary documents, read chapters and scenes with a critical eye. Distractions easily upset the process. Thus, I’m using hourly increments the way NaNoWriMo fights distraction through a daily word count. I’m hoping to discover revision bliss. NaNoWriMo helped me discover that my drafting bliss occurs at word 900. It can feel like painful slogging to write a scene up to 900 words, but after that, the story takes shape or the characters reveal themselves through dialog and the remaining words flow. Will I find that with revision? I hope so! My plan is to dive in and not be intimidated by the work I know I need to do. I have historical timelines to shore up and an arc to build from my idea of the original arc I wrote. 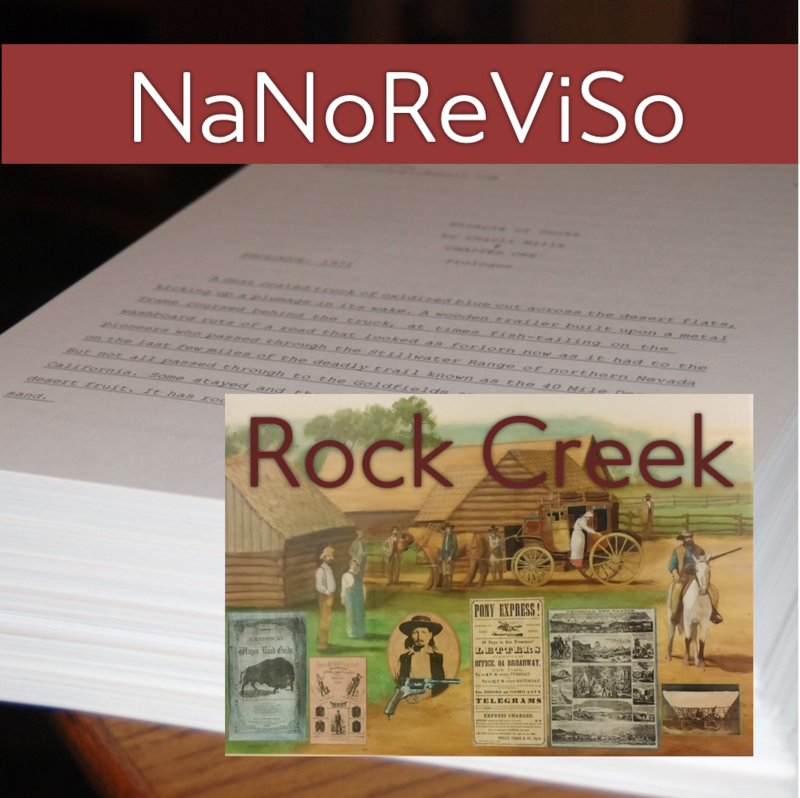 I might have made this too complex, writing from multiple points of view (POV) and starting with a story timeline that weaves in and out of the 1930s and the 1850s, all headed to a final revelation of what really happened July 12, 1852 at Rock Creek Station in Nebraska Territory. I have to be prepared to defend my theories, my fiction that is rooted in fact and a plausible conclusion. No distractions 5 hours a day while attending to other responsibilities and icing my purple toe. I prepared by creating to-do lists for the other responsibilities over the next six weeks and by designating a week off, even from those tasks. I prepared by finishing out the last of the firewood hauling from the mountains (and the weather agrees with my plan, it’s now to muddy and snow has hit the higher elevations). I prepared by cleaning my house, decorating with fall candles and leaves, shopping to stock up my pantry and freezer with groceries, and baking a cake. It was in baking the cake (not hauling firewood) that I broke my toe. Who breaks their toe mixing batter for a yellow buttermilk cake? Me, apparently. I accidentally knocked over my heavy Pyrex measuring cup and it landed square on my big toe and felt like an iron rock. Kitchen accidents do happen, but they seem ridiculous. Sympathy withers when you say, “Oh, I did it baking a cake.” Was it somebody’s birthday? An anniversary? No, it was just the start of NaNoReViSo. To all my fellow writers doing (or not doing) NaNoWriMo and to my special NaNoReViSo buddy, Sherri Matthews, go punch someone in the gut! Make those readers feel your words! Stay the course, no matter what. This post is a continuation of my ride to get published. I call it the Rodeo, and not all rodeo arenas are comfortable. We tend to stick close to familiar territory. When I was a little buckaroo riding at the Bolado Rodeo and Saddle Show, I knew every inch of the arena at Bolado Park. I knew the back ways, where the stables were located and how to find my cousins to share a can of Coke. When I rode there, I felt at ease. As a teenager, I entered a horse event with my friend who lived in Carson City, NV. I couldn’t trailer my horse so I rode one unfamiliar to me. The event was new and so was the arena. Trying to find where we were to queue up for a parade entry, we trotted our horses past a camel that spit at us. I felt unsettled. My ride to get published has pushed beyond my familiar arenas. Anytime I read posts about marketing I feel connected. Marketing is familiar. But when I read posts abut the book publishing industry, my eyes boggle in my head. The temptation is to pass and bookmark such posts or articles for later. But later is now. I need to get familiar with the different arenas of traditional, hybrid and independent publishing. Traditional is my first choice. So is riding my own horse. But sometimes our first choice is not what we get. The more familiar we can become with different arenas, the better. In my own newness, I don’t have much to say about Amazon. I know it is the number one retailer of books. I’ve read posts on rankings and reviews. I buy lots of books from Amazon and I’m researching how to become an affiliate to boost the sales of books from the writers I know in my Bunkhouse Bookstore. Yet, not everyone likes or sells on Amazon. But that’s about the extent of my knowledge. So I want to share an important post that I read today; one that gave me greater insight. You see, when we know more about the arena where we might ride, we feel more at ease. I hope you will find this post informative. It’s called, The Top 10 Things All Authors Should Know About Amazon by Brooke Warner. What insights do you have to share on the arena we call Amazon? If the ride to getting published is a rodeo, then you need to find places to ride. In other words, you need a game plan for your manuscript. Just as a cowboy might map out the range of rodeos in his area, so will a writer map out her places to present her manuscript. If a cowboy rides broncs, he won’t be interested in the bull riding festivals. If a writer writes mysteries, she won’t send her manuscript to a publisher of romance. Thus it is important to research the rodeos. First, let’s clarify different paths to publication. We want to be clear on which rodeo we are seeking. My rodeo arena of choice is the traditional publishing path. I received my Bachelor of Arts in creative writing in 1998. Back then, I was encouraged to seek an MFA to get published. I even met with a literary agent who voiced the same advice. Reality was that I needed to find a job before I could continue. Fast-forward to 2012 and I was ready to make the leap to finish at least one of my manuscripts. In that span of time, an MFA lost some relevancy. First, too much time elapsed after my first degree and I no longer had professors to recommend me and second, I really didn’t care to go in debt any further on student loans. The return for income as a writer does not equal the debt for earning degrees. So I skipped the MFA. But all along, I’ve worked at keeping my creative skills sharp by attending annual workshops on craft. And I built a writing portfolio from my freelancing. It’s important to keep creativity in tact, to learn and to grow. I also read books on craft and good novels that I truly enjoyed to read. Next I had to do what I set out to do — write that novel! I took a different kind of workshop that focused on preparing a manuscript for book publication. It helped me arrange my scenes and eventually chapters. I sent it to beta readers and revised it. Then I sent it to an editor for an analysis and revised it twice more. After that, I sent it to an editor for copy-editing. And I revised, line by line in accordance to her changes and suggestions. I mention all this because of the rodeo arena I have selected — commercial publishing. There is a higher standard and a concern for marketability. My choice means that I might be asked to use a different saddle or even horse if I get a chance to ride. That means, I might have to make changes to make it acceptable for publication because commercial publishing houses want what they think they can sell. Who would want to read it and why? What other books are similar to yours? If you are uncomfortable with these questions, take stock of that now. Because this rodeo arena is a hard ride! If you have a book that you want to publish the way you wrote it, traditional publishing may not be the right venue. In fact, you’ll most likely earn less profit. So why do it? Personally, it ties back to my own training in the craft and to get “picked up” would be to fulfill a long-held goal. It feels more “credible” to get published by a commercial house. Those are merely my own thoughts. You need to think long and hard on your reasoning. However, if this is your chosen path know that we have greater opportunities than ever before. For example, many large commercial houses have created imprints for specific genres. There are more smaller commercial houses and many are specific to the region where you live or to the stories you want to write. Therefore, we’ve come to the most important strategy to make this publishing ride work: Research! Once you have defined your genre and target audience, you need to decide if you are going to go directly to publishers or to a literary agent who can represent you to publishers. It depends upon the size of publishing house you are seeking (some only accept manuscript submissions from agents) and how much time you are willing to wait. It can be a long process to find an agent and longer yet for them to sell your manuscript. If you are interested in smaller publishing houses, regional presses, or even the growing hybrids (like Booktrope), you most likely won’t need an agent. Whatever you decide, have your manuscript scrubbed clean (and don’t blunder like I did and send a dirty copy). While you are finishing the polishing touches (best achieved through a trusted and professional editor; I use the Write Divas) research the best matches for your manuscript. Subscribe to the magazine, “Writer’s Digest” or at least follow their editor blogs. Purchase a current copy of “Writer’s Market” that comes with an online publisher database (if this is not affordable, go to your local library and use the reference guide there). Subscribe to the free weekly newsletter “Funds for Writers.” C. Hope Clark often includes publishing houses and agents seeking clients. If you live in a large metropolitan area, use your telephone yellow pages. What do you want to research once you find the resources? Look up your resources online because bookmarking your selections is the quickest way to organize and filter your search. I set up folders designating publishing houses by “commercial,” “regional” and “hybrid.” I keep a separate folder for agents. Find out if they are accepting submissions. Find out how they want submissions. This can vary widely so read their guidelines thoroughly. Start with your best matches. Reread the guidelines and if time has passed since you last researched, make sure they are still accepting submissions. Be thoughtful and thorough with your submission (don’t blunder out the gate like I did, and if you do, get back in there and ride again). Just do it! Hit send! Post the package! Many a cowboy has sat on the bull’s back in the bucking shoot and decided not to ride; but he sticks to it. So will you! Set aside fear and doubt. Expect rejection. I know a writer who posts all her rejections with joy because it means she had the courage to ride and she’s one less rejection closer to her goal. If you are lucky enough to receive feedback, consider it. Explore options for attending conferences that focus on getting published more than on craft. Make sure the conference has a good line-up of literary agents and publishers. Don’t go to a huge conference; find something in between to give you the chance to meet publishers and agents. I’m a new rider, so if you have further experience or knowledge, please share! How have you gone about finding a publishing house for your book? 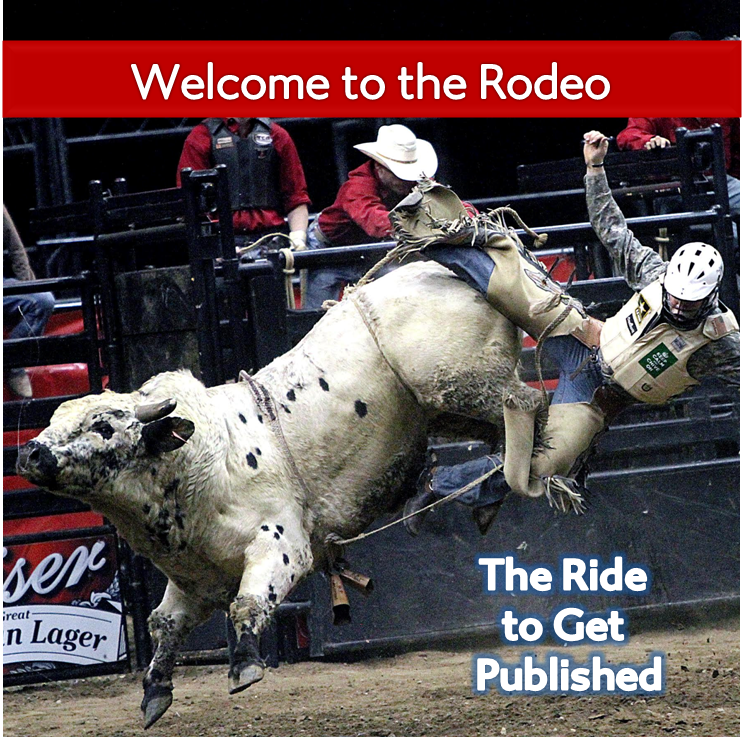 Last week I refined an idea to call my ride to publication, “The Rodeo.” The reality of today’s publishing market is as unforgiving as that bull once he busts out the gate. Hitting the ground is part of the ride. It’s not personal when a bull stomps your belly; neither is it personal when an publisher or agent never gets back to you. Today, I discovered an embarrassing blunder and at least I can say with great confidence, I know why this particular publisher will never get back to me. I sent the wrong manuscript. Right title; right revision; wrong edit version. I don’t know about you, but I get lost in all my revisions. I don’t mean revising, I mean all the versions of my novel that hold space in my folders. They are organized numerically and by date. My revisions exist in Scrivener and as Word Docs. The latter, I share with beta readers or my editor. When the last revision returned to me it was the final revision with the final edits. But wait — I had to accept the corrections and make recommended changes. I had to accept the commas and change awkward sentences. In my haste — yes, I recall Laura Ingalls quoting Pa, “haste makes waste” — I wasted my opportunity. I thought I had saved the changes, but I sent a file with the complete mark-up of edits on every single page. Picture this: you are in a writing class. You spend the semester writing, revising and critiquing short stories. Your professor encourages you to send off your latest revision to a literary magazine. But instead of mailing your clean re-write, you mail the professor’s last round of remarks which leaves each page looking like a bloodbath. Do you think the editor of the literary magazine is going to try to read your submission buried beneath red ink? Most likely, not. Worse, I recall a similar scenario at work — reading resumes. I was part of the hiring team and often had to read numerous resumes while I was busy with my own department and work. Sometimes I would find such absurd mistakes that I would share the laugh with my team or the HR manager. I cringe to think my submission made someone laugh — look at that mistake! Rodeo stock-riders make mistakes, too. Especially right out the gate (meaning, your first ride). So I’m going to share a laugh with you, courtesy of comedian, Bill Engavall. When he says, “I am a cowboy,” substitute, “I am a writer!” This is what my first ride felt like, but I’m all psyched up to try again! Now I know what the ride feels like. A friend cached me on how to save my changes. Next time I won’t submit in haste. This isn’t a race. It’s a rodeo. A big buckaroo shout-out to the talented photographer, Jamie Miles. That amazing bull ride photo is her work. I’ve long been a fan of her photography (she covers country music concerts) and when she posted photos from a national bull riding event I asked her if I could purchase one. Consider ways that artists can support artists. Any feedback for a newbie taking the ride to get published? What was your first ride like? Did you ever blunder? How did you bounce back? Calling all writers who have crafted query letters, book blurbs and synopses. As I prepare to ship off my first manuscript, I’m trying my hand at distilling what the novel is about. I’ve read numerous posts that have been useful, own more craft-books on writing than the local library and I’ve even read a few. I’m asking for feedback on my first attempt at a synopsis, and requesting any tips you’ve learned through experience. Thank you in advanced for any and all advice! Archeologist Dr. Danni Gordon hides in her research to avoid the tourist bustle of Bayfield, Wisconsin. Despite their differences, Danni has a comfortable marriage to Ike Gordon, former U.S. Army Ranger. She believes in science; he believes in miracles. She likes solitude; he’s loud. She wears high heels to cook at home; he swills coffee at the local cafe. Although past his Ranger prime, Ike answers a personal call of duty and leaves for Iraq. Danni suddenly becomes a soldier’s wife in charge of Ike’s exuberant hunting dogs, which leads to trouble with neighbors and the law. Chaos also brings new friends, including an unlikely pup. He socializes Danni and becomes a celebrity to local schoolchildren as Bubbie the Archaeology Dog. Just when Danni begins to connect with her community and anticipate Ike’s homecoming, she receives devastating news from Iraq. 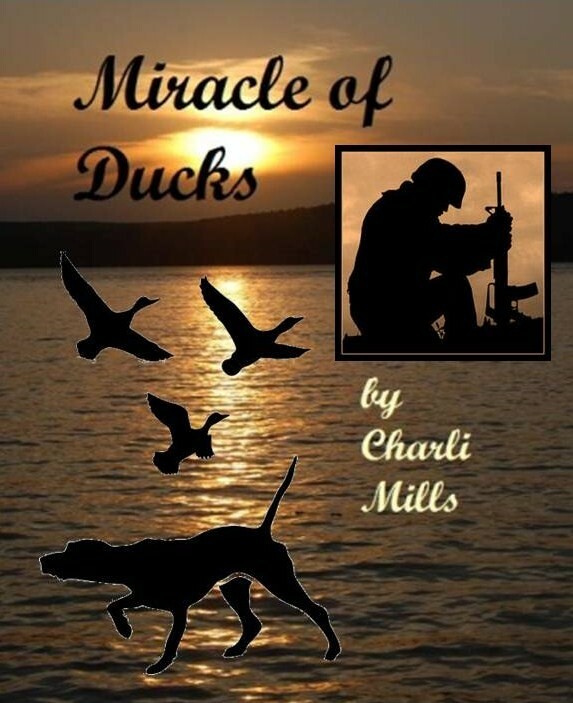 In a hopeless situation, Danni is about to experience the biggest miracle of her life. Writing is the easy part. 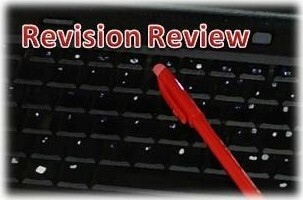 Revision is where the work resides and in order to slog through it with grace, you need to have a strategy. That is, you need to plan your approach otherwise you are just poking at words with a stick. If that terrifies you, hang on. Let’s pause to do some math. First you had your idea. That counts. One. Maybe you outlined your chapters or developed and arranged scenes. Two. You wrote, word by word, scene by scene. Three. You rearranged your draft, added some research. Four. You renamed your character, changed his hair color, added his Meyers-Briggs type and gave him a quirk or two. Five. You shared sections with your writers group or took your first ten pages to a workshop. Six. Read for gaps in the big picture. Research missing details. Write missing scenes. Read for flow. Map the action. Read dialog out loud. Rewrite scenes to improve continuity and clarity. Cut. Ouch, yes, but necessary. Cut every scene, line and word that doesn’t serve a purpose. Be brave; cut your words. What you don’t say is as telling as what you do say. DIY corrections. Read for correctness and not just grammar–check your story for flaws. To be credible in fiction you need to be consistent with your details. Assign beta-readers. Review feedback. Make final changes. Hire a professional editor to proofread. If you try to “revise” in one grand sweep, you will overlook too much. What editing publications has taught me is that you have to break down the process. When editing “This is Living Naturally,” the first read is simply for fit. Does the article fit the tone and message of the publication? Next I edit for clarity. Will the readers understand the story? Next I edit for correctness. Is the study cited accurate? Is that a comma splice? Did the writer mean “there” instead of “their”? Finally, I pass it off to a proof-reader because one set of eyes is not enough. And after that, I read it to to catch any omissions or errors in the final proof. If I tried to do all that editing in one sitting, I would either miss problems with structure, typos or facts. No matter how big or small your writing project, you need to develop a strategy. It doesn’t have to look exactly like mine, but it needs to begin with the big picture and end with the smallest details. You also need to invite extra “eyes” to help see what your eyes have missed. Let your novel sing!